Heavy duty 275# test cartons are custom made to fit our 5 gallon and 1 gallon steel pails. 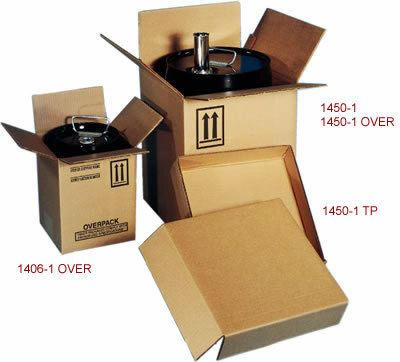 Cartons have up arrows, overpack statement, area for writing proper shipping name and identification number which can be used IF the inner pail contains hazardous material. Optional tray pads are available for the 5 gallon box. Suitable for packing non-UN pails. UN Rated pails required when shipping hazardous materials.